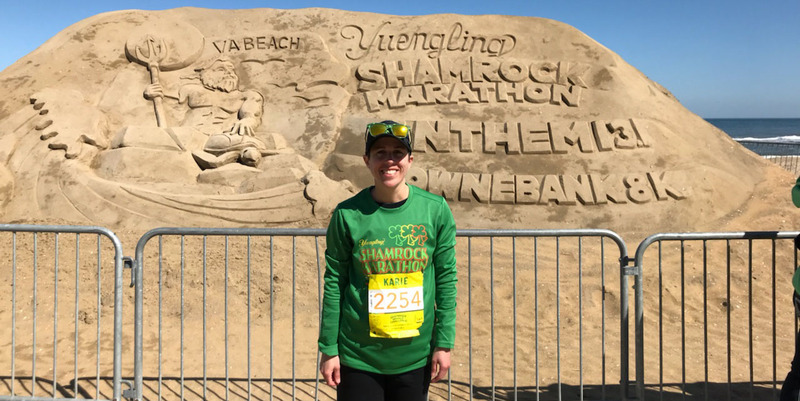 Karie Bradford, a thirty-eight-year-old Special Education Aide, and mother of two boys, will be competing in her first duathlon at the first Luray Duathlon. This year the much-loved Luray Triathlon, now in its 13th year, has added the Luray International Duathlon on August 18th and the Luray Sprint Duathlon on August 19th. Karie, who grew up in Michigan, but has lived the last 14 years in Virginia, has been running with a group in Winchester, VA, called Runner in Training. Karie has always had an interest in distance running and in riding bikes so it is a natural next step to try a duathlon. Karie has been wanting to try a duathlon but was too nervous to sign-up. After her friend who has participated the last two years in the Luray Triathlon told her about the new duathlon, she along with a handful of other friends decided to sign-up to participate in the inaugural Luray Duathlon. Although still slightly anxious since this will be her first duathlon, she is getting very excited and anticipating it being a lot of fun. She and her friends are also looking forward to a great weekend in the town of Luray, specifically enjoying the popular Hawksbill Brewery. Hawksbill Brewery is the title sponsor of the Luray Hawksbill Double. In preparation for the Duathlon, Karie is doing Tom Lowe’s beginner duathlon training program. Her goal is to finish the race with a decent time and see how she likes doing duathlons. We wish her lots of luck and hope she enjoys the Luray Duathlon.